Thursday morning starting at 9:00 a.m. 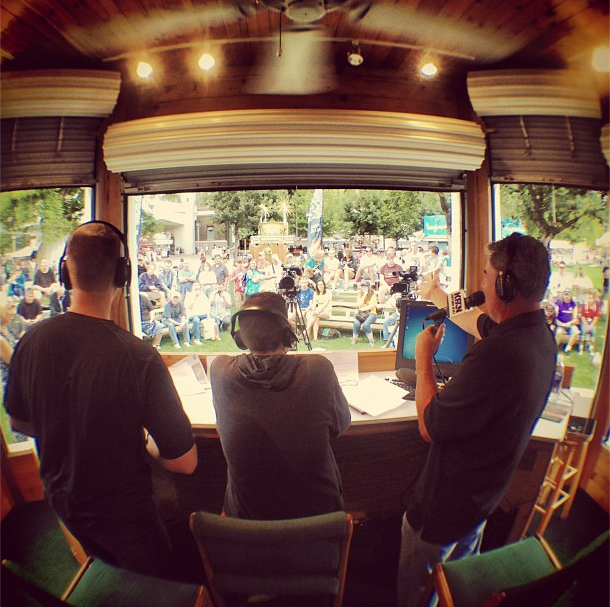 I'll be on Paul Allen's show live from the KFAN booth at the Minnesota State Fair. I'm sure we'll be talking Twins, but the main focus will be on a dating game-style show called "Girls Gone Gleeman" that's intended to either find me a nice woman to date or embarrass me to death trying. You can come see me find love and/or be humiliated, all in front of an audience and live on the radio. Click here for more details. Thursday night starting at 7:00 p.m. I'll be at Park Tavern in St. Louis Park, eating and drinking and watching the Twins-Rangers game with John Bonnes, Parker Hageman, Nick Nelson, Lindsay Guentzel, and some other familiar names from the local blogging and social media world. We're basically just going to hang out for a few hours, so the more the merrier and all you need to do is show up, say hello, and grab a chair. Click here for directions. I'm not sure why they used a picture of me from 100 pounds ago, but maybe that's just KFAN's way of keeping expectations incredibly low and/or bringing in the chubby chaser demographic. Whatever the case, Thursday at the Minnesota State Fair there will be a dating game-style show on KFAN featuring me as the bachelor and Paul Allen as the host. I'm expecting to either find a wife or die of embarrassment on air, with nothing in between. Good radio either way. 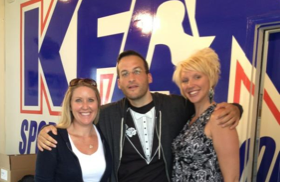 If you're single woman between the ages of, say, 20 and 40, go to the "Girls Gone Gleeman" page on KFAN's website for details and fill out an application. • Sterling Cooper Draper Pryce meets The Bluth Company for an all-time great worlds colliding. • While at the fair I'll probably not be eating any of this stuff unless I decide to start looking like that old picture again. • Tom Barnard is doing what's commonly known as "a reverse Gleeman and The Geek." • 1500-ESPN is no longer the radio home of the Twins, who announced their move from AM to FM and the Pohlad family-owned KTWN-96.3. David Brauer of MinnPost analyzed what the move means for 1500-ESPN and looked at how the Twins fit on a music-only station. • Happy birthday to Official Fantasy Girl of AG.com Mila Kunis, who turned 29 this week. To celebrate, I watched this GIF and applied to have that silly restraining order dropped. • "Mila, what's your reaction to that weird baseball blogger always talking about you?" • If you won't listen to me about the stupidity of thinking no-hitters can be "jinxed" then at least listen to the greatest baseball announcer of all time. And there are some impressive perks for making baseball history. • Why did the Twins send Brian Dozier to Triple-A? I'm glad you asked. • And when will the Twins recall Chris Parmelee from Triple-A? I'm glad you asked that too. • Johan Santana is making me sad. • I've never understood why Ashley Greene isn't way more famous than Kristen Stewart. 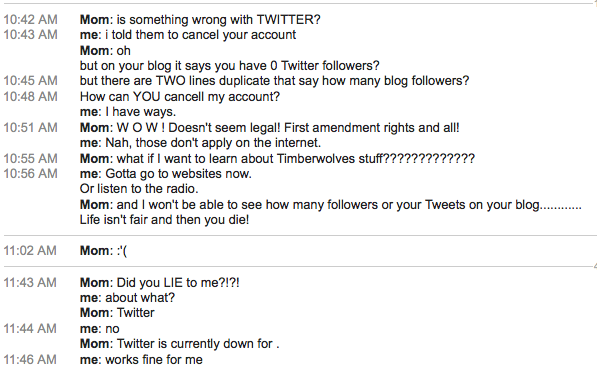 • Well, there goes my plan to take over the Minnesota Daily someday. • Pretty good, especially Jerry Hairston: MLB players audition for The Expendables 3. • I spent all week pouring over Rotoworld's online fantasy football draft guide to prepare for my keeper league draft and can't recommend it enough. Great content, constantly updated. • Speaking of which, the Orioles had a unique idea to determine their league's draft order. • Let's all pool our money together and buy this. Sir Mix-A-Lot would be proud. • I'm thrilled to see Pulitzer winner, journalism professor, and all-around great guy Chris Ison looking good three months after a life-threatening propane accident. • Nick Nelson and his famous "mustard face" made an appearance on FSN. • For anyone into documentaries, find out where Queen of Versailles is playing near you and go see it. Equal parts interesting, sad, funny, and infuriating, and showing at the Landmark Edina theater in Minnesota. • Podcast recommendation: I've been going through the archives of Stop Podcasting Yourself with Graham Clark and Dave Shumka all week, listening to multiple episodes per day. • In retrospect, I guess "warlock" would have been the proper choice. • I wrote an article for the Society for American Baseball Research convention program that was a condensed version of my still-unfinished-on-the-blog "Top 40 Minnesota Twins" series. My article, along with articles from familiar names like John Bonnes, is now available online. - "Turkey hen weight after one year"
- "James Deen Hebrew school"
- "Dana Wessel Chaska Redhawks"
- "Moira Kelly weight loss"
- "Will fried rice make you lose weight?" - " Hawk Harrelson mental illness"
• Eric Chavez throwing the ball back to an unsuspecting Cody Eppley is GIF magic. • Nicolas Batum's nut-punching above replacement level is off the charts, which is no doubt why the Timberwolves made such a strong run at him this offseason. • See, now they're just taunting me. Might be time to evaluate some other candidates. • In honor of Usain Bolt's latest gold medal the New York Times created a fascinating video showing the evolution of the 100-meter dash at the Olympics. Humans are pretty amazing. • I'm pretty sure Google has been listening to Gleeman and The Geek and is now inventing things specifically for me. • Sid Hartman's recent Minneapolis Star Tribune column includes a note saying that "it's unlikely 1500-AM will carry Twins broadcasts beyond this season." • For anyone interested in local radio ratings, my MinnPost colleague David Brauer has the latest numbers and analysis. Short version: KFAN continues to dominate. • Update on my all-Chinese food diet: I ate hunan chicken from Yangtze almost literally every day for an entire month and gained 10 pounds. I'm not sure what was accomplished, other than learning I'm still capable of being a fastso, but now I'm back on the low-calorie wagon. On a related note, for as awful as the Twins have been since the beginning of 2011 they've got 20 more wins than the Astros during that time. Seriously: 112-162 compared to 92-182. • Ricky Gervais is the latest comedian to ride in Jerry Seinfeld's car and go for coffee. • Amelia Rayno of the Minneapolis Star Tribune wrote an excellent article about Corey Koskie's life after a concussion ruined his baseball career. • Tim Allen, who blogged excellently and creatively about the Timberwolves at Canis Hoopis since 2009, committed suicide at age 29. • Turner Broadcasting bought Bleacher Report for $175 million. • Frank Viola's daughter, Brittany Viola, finished 15th in the Olympic diving semi-finals. • Carson Cistulli put together some good advice for how to become an internet baseball writer, although he oddly left out "be incredibly handsome." • As always my favorite podcast guest, Chelsea Peretti, was great on Doug Loves Movies with Doug Benson, Sarah Silverman and Anthony Jeselnik. And my friend and former Rotoworld colleague Gregg Rosenthal was actually in the audience. • Freakonomics Radio explains why getting a college degree isn't always so valuable. • On the other hand, things are looking up for journalism school graduates these days. • Old school Orioles catcher Gus Triandos had a very memorable place in The Wire world, but the show had plenty of other sports-related story lines too. • It turns out the Minneapolis Star Tribune headline about "weed dating" was a false alarm. • Tuesday morning I was getting tweets saying stuff like "do you really wear tuxedo t-shirts?" and "what's with a polka dot fanny pack?" and "uh, you may want to turn on KFAN." I listened to the podcast later and heard Paul Allen and Marney Gellner discuss "Girls Gone Gleeman" without me even being present, including Gellner replying "I follow him on Twitter and his mom is a sweetheart" when asked if she knew me. Which, really, should be on my tombstone. • I was in-studio to defend my honor yesterday and PA threw a curveball by actually wanting to talk Twins for a while. We eventually got to the "Girls Gone Gleeman" situation, which now includes at least one legitimate applicant. And if you listen to the podcast you can hear PA's reaction when I strip down to reveal an actual tuxedo t-shirt that was shipped overnight via Amazon.com just for the occasion. In other words, things are getting very serious. • And because KFAN clearly hadn't devoted enough airtime to my love life this week, two hours later PA cold-called me at home live on the air to deliver some breaking "Girls Gone Gleeman" news. FSN sideline reporter Robby Incmikoski was in-studio at the time, so we became pals again and at some point I agreed to let him serve as a special guest judge for the dating game-style show we're planning at the state fair. He seems excited about it, at least. It turns out running your fingers through my hair can be very addicting. 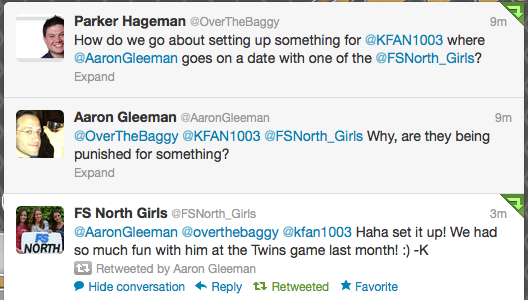 • On a related note, looks like we'll be doing a live Gleeman and The Geek show from the KFAN booth at the state fair on August 26. My guess is we'll take lots of audience questions, so if you've ever wanted to see John Bonnes arguing with me in person this is your big chance. • Your weekly reminder that Vin Scully is the best. • Jon Weisman is right: This picture made me smile. • For some reason my rush-delivered tuxedo t-shirt did not come with any huge guns. • What music would you listen to if you'd been deaf for your entire life and could finally hear? • In which I sing a Beyonce song to Danny Valencia. • If you look up "hero" in the dictionary ... well, you'll see a definition. Also, this Julie Klausner story is pretty great. • If you're into basketball, sports betting, poker, or (like me) all of the above Jay Caspian Kang's podcast interview with longtime AG.com favorite Haralabos Voulgaris is a must-listen. - "Can a catcher also play outfield"
- "Ben Revere throwing arm"
- "Dirty slide slow pitch softball"
- "Fat man stuffing his face"